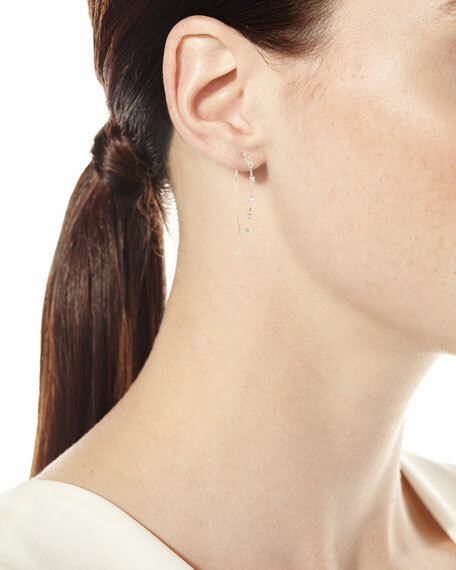 LANA small solo upside down hoop earrings from the Solo Collection. Polished 14-karat yellow gold wire hardware and prong settings. Upside down hoop silhouette with six G-H/VS-SI1 diamonds. 0.352 total diamond carat weight. Thread through for pierced ears. Approx. 1.1"Dia. with 1.4" drop.